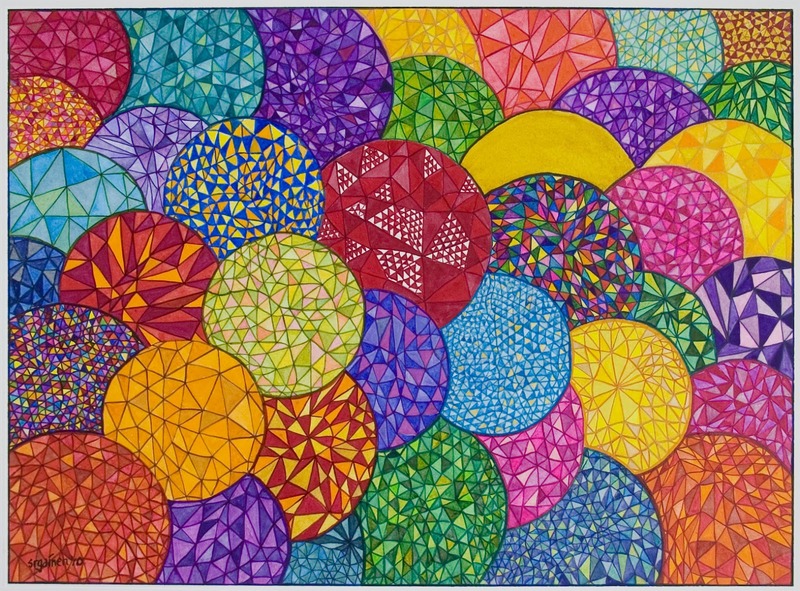 Bright Glass Bubbles Holiday Card is a zazzle "today's best"
What happens when triangles go wild? Fans of nanoscapes may recall the 13 weeks in 2010 that I spent in the World of Fractured Glass Paintings, when I made Fractured Glass 1, 2, 3, and this glass bubble painting. These paintings are quintessential nanoscapes, as they are nothing if not examples of Painstaking Exuberance. Many steps: make a pencil drawing, paint over with Winsor & Newton Davy’s Gray paint, paint colors inside the lines, paint the “grout” lines, and, finally, paint a border for the painting. A celebration of the Double Zero brush! The Bright Glass Bubbles blank holiday card was selected as a “Today’s Best” for June 6, 2012 at zazzle.com. It was “…hand-picked as an example of creativity at its finest. 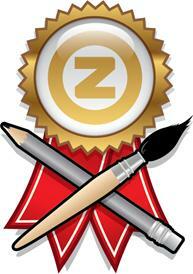 Out of billions of products on Zazzle, your design was chosen for being one of the best!” I am honored. Fans of nanoscapes may recall the 13 weeks in 2010 that I spent in the World of Fractured Glass when I painted Fractured Glass 1, 2, 3, and this glass bubble painting. It was fun! Click here for the link to this card at my zazzle store.